If it is not a payment for a purchase, what was the cause of the "tonnage compensation" to Mexico? Hmm. Okay... which vessels, so that we can keep matter straight when it comes to orders of battle. Mexico got the 4 Ming-Class Destroyers (http://wesworld.jk-clan.de/index.php?pag…2745#post122745) + 1750ts and China got the 4 Leone's Mexico purchased from Greece. Ah. Thank you for clarifying. The Mexican post was so long ago it had fallen through the cracks. 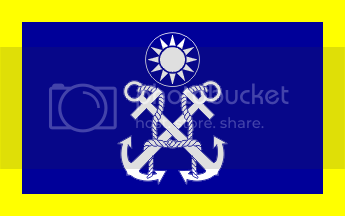 Minesweeper Mothership; 2000tons needed; 1000tons received; christened "HICMS Tian Yan"
Minesweeper Mothership; 2000tons needed; 1000tons received; christened "HICMS Lie Ying"
I think your landing ship is suffering an identity crisis, because it's got catapults and floatplanes. That is true, but I suspect that the Chinese intention is to model the vessel on the wartime IJN landing craft carriers - like the Kumano Maru - which had both landing craft and flight decks for aircraft. Not that I consider it a workable idea... but it is what I presume in the intent. The Dongting is based on the OTL Shinshu Maru. About the aircraft ... my fault. Will be corrected.